Important: These are not directions for making this yourself. These are the directions that came with this trick when sold by magic dealers. This PDF is designed for collectors who may have the props, but no directions, magic historians, and those simply curious as to how this trick was done. This trick sometimes shows up on eBay with no instructions. 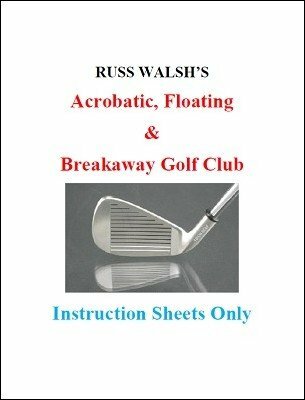 Effect: Golf club swings, floats, reverses, and apparently gets away from the performer. Then when broken into three sections, it automatically restores itself to its original shape. It may also be produced from a silk or other cover. Full instructions and detailed routine.